The Providence Friars take on the Dayton Flyers on in the NCAA Tournament. The Flyers are 4-1 against the spread in their last 5 NCAA Tournament games and are 16-7 ATS in their last 23 neutral site games. 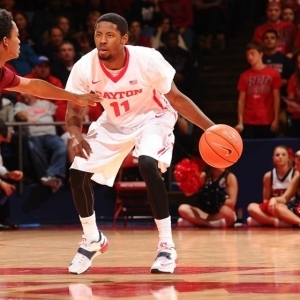 Dayton is 1-4 ATS in their last 5 games overall and are 1-6 ATS in their last 7 non-conference games. The over is 7-2 in the Flyers last 9 games following an ATS loss and is 7-3 in their last 10 games following a straight up win. The Friars are 9-0 ATS in their last 9 neutral site games and are 4-1 ATS in their last 5 games overall. Providence is 6-2 ATS in their last 8 games following a straight up loss and are 6-2-1 ATS in their last 9 non-conference games. They are 18-8-1 ATS in their last 27 games vs. a team with a winning straight up record and are 2-5 ATS in their last 7 games vs. a team with a winning % above .600. The over is 5-1 in the Friars last 6 non-conference games and is 9-3 in their last 12 games following a straight up loss.